It’s that time of year again: back-to-school! But even if your Lisa Frank-collecting, eraser-chewing, diorama-making elementary days are long behind you, sometimes an office refresh is just what you need as fall begins to set in and the holidays fast approach. (Yes, it’s August. No, the holidays are not a long way off, whatever we may delude ourselves into thinking.) If you’re craving some new material in the office to get your creative juices flowing again, here are a few grown-up “school supplies” to get you going. 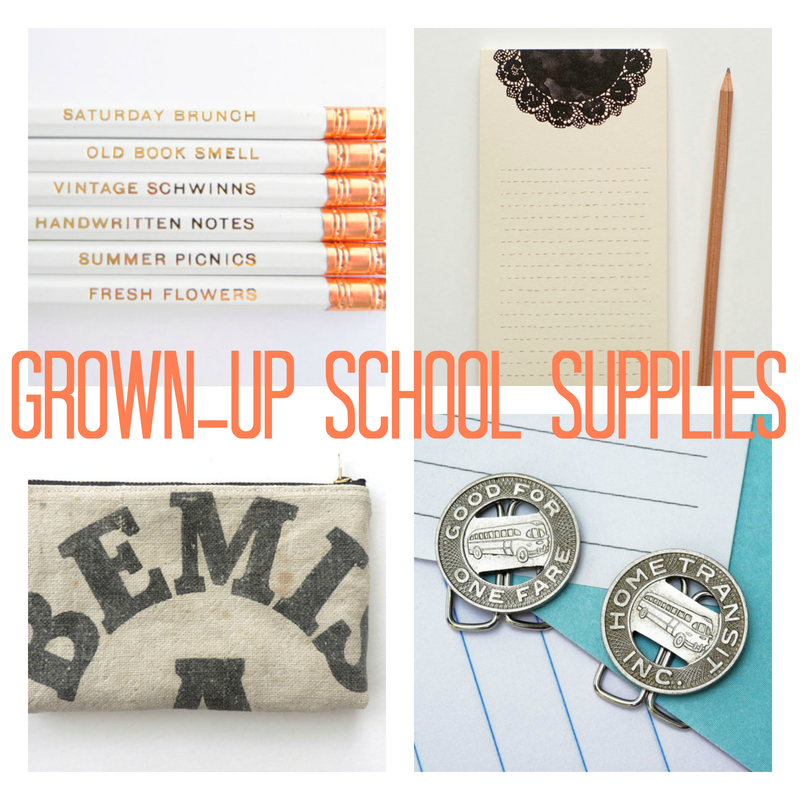 Love this idea of grown up school supplies and this is a great collection of items.